What are the do’s and don’ts when it comes to owning a solar system? In terms of harvesting solar power, the Philippines’ position is definitely advantageous. It is situated just above the equator, meaning it receives more sunlight compared to other countries. Due to the favorable global positioning of the country, it is highly recommended that Filipinos purchase and install solar systems atop their Philippine homes. This solar equipment could turn the sun’s rays into electrical energy. This alternative source of energy is highly beneficial to the environment because it lessens the demand for fossil fuels. In addition, these solar panels do not emit greenhouse gasses that could harm the ozone layer in the atmosphere. By utilizing them, your carbon footprint will be reduced significantly. Due to this, the number of Filipinos who want to use this technology has risen. They believe that it is a sound investment that they could rely on. But just like any other investment, they should also be properly taken care of. Below, you will see a few do’s and dont’s when it comes to owning a solar system in the Philippines. Having all your solar panels face the same direction will ensure that their harvest is optimized. Keep in mind that it is important that they are facing the south direction, which is the direction where the equator is located. This direction is ideal because the panels will be able to acquire the most amount of sunlight, which is vital for raw power output. That being said, if the only part of your roof that is available for solar panels is facing east, west, or north, it is fine to put it there too but it will generate 3% to 10% less than south. This is OK – just add another panel or two! Do not add a tracking system which may blow off during typhoons, or a frame mount facing another direction. It is always best to have a co-planar mount on your roof. In case you—the homeowner—do not have one surface large enough to accommodate all the solar panels, then there is no other choice than to install the solar systems on two sides of your roof. This is possible by using a solar inverter with two MPPT trackers, or a “dual tracker solar inverter”. Such cases do occur, and for cases like this, it is ideal to install a separate inverter that functions specifically for each side only. By doing so, the light provided by the sun is maximized and harvested even during the different times of the day. During the morning, those solar panels installed in the East will be able to harvest solar energy. On the other hand, the panels facing the West will be able to harvest the solar energy needed to be consumed during the afternoon. In order to cater to the varying conditions and preference of consumers, there are different types of solar systems in the Philippines available for sale. 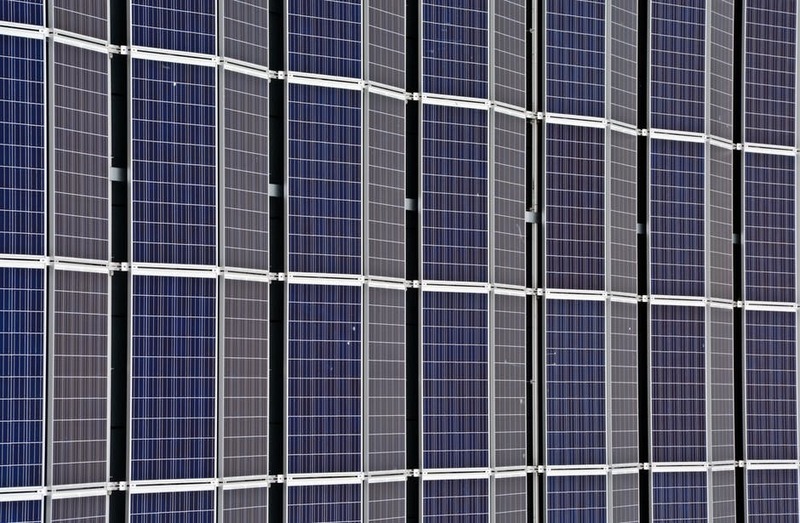 Due to the varying types of solar panels and its components, the owners must be mindful of the parts that they purchase and make sure that these are of the same classification. The different variables that come into play when it comes to solar PV modules are the current and voltage. If your solar panels have a parallel connection, then you must be particular with the current of the system. On the other hand, if they have a module with a series connection, you must check the voltage requirement. Always consult a solar professional before doing an installation as you may damage equipment. It is essential for a set of solar panels with a series type of wiring to have the exact or at least a closely similar current and voltage characteristics. Such alignment of current and voltage is necessary to ensure that the level of performance of your solar systems is maximized. In a series connection, it will follow the current flow of the least performing panel. In the event that a solar panel is equipped with either dissimilar voltage or current level, the lower rate of current or voltage will be the one utilized by the system and not the higher rate. For these kinds of instances, the power output is significantly lessened, meaning the performance rate of the system is not at its optimum level. These are the do’s and don’ts when it comes to owning a solar panel in the Philippines. Just follow these tips to ensure that your solar systems are optimized in terms of functionality.